Go ahead. I can handle the truth. We protest when we don’t get it. We divorce spouses who withhold it. We insist our children practice it. We’re hurt when our friends don’t divulge it. But when it comes to our own behavior, how often do we transgress? Out of diplomacy, kindness, sympathy, and privacy we don’t always tell the truth. Yet we often barely notice. What happens when we notice? When we truly focus on the decisions we’re making around honesty? When we view our entire life through the lens of honesty? When award-winning journalist and New York Times contributor Judi Ketteler looked at her Facebook page she saw an absolutely content, non-clinically-depressed daughter, sister, mother, and friend who believed in openness and generosity of spirt. She saw a wife whose marriage was authentic. It wasn’t quite the whole story. After building up so many defense mechanisms and justifications and compartments of feelings, Judi realized that the line between truth and deception was beginning to blur. How often had she herself paltered, exaggerated, concealed, side-stepped, or spun the truth? To answer that question, Judi started her “Honesty Journal.” She knew she’d have to follow through if she was to get to the bottom of her complicated relationship with honesty. 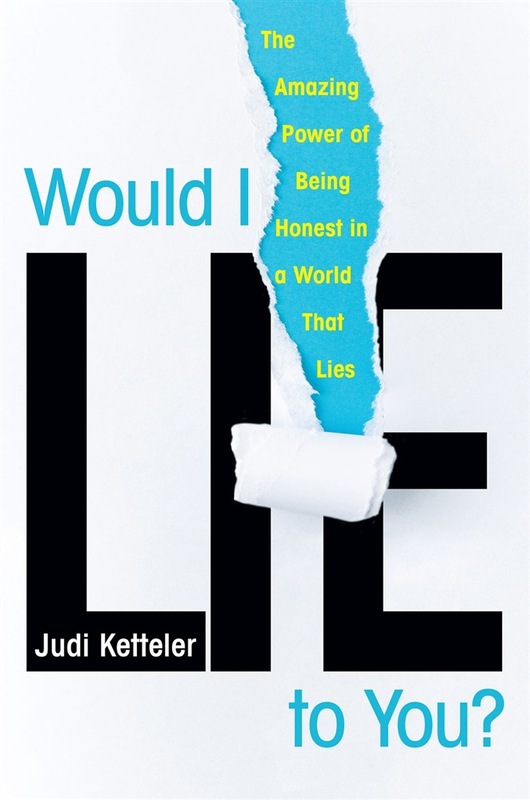 Blending her personal journey—as well of that of family, friends, and share-givers—with years of research into the psychology of deception, Would I Lie to You? is a timely consideration of the joys and pains of truth. In it, Ketteler explores the reasons we lie: shame, convenience, regret, fear of emotions and confrontations, and to keep a secret. She examines the value of kind lies, and cautions against those that are cruel. And she reveals the importance and differences between “social honesty” with co-workers, acquaintances and social media, “intimate honesty” with those we love, and the “self-honesty” of the stories we tell to ourselves about ourselves. The bottom line: focusing on honesty is the ultimate way to actively engage with the world and create healthier and happier relationships. Honesty work isn’t necessarily the easiest work, but it may well be the most important. Acquista Would I Lie to You? in Epub: dopo aver letto l’ebook Would I Lie to You? di Judi Ketteler Ketteler ti invitiamo a lasciarci una Recensione qui sotto: sarà utile agli utenti che non abbiano ancora letto questo libro e che vogliano avere delle opinioni altrui. L’opinione su di un libro è molto soggettiva e per questo leggere eventuali recensioni negative non ci dovrà frenare dall’acquisto, anzi dovrà spingerci ad acquistare il libro in fretta per poter dire la nostra ed eventualmente smentire quanto commentato da altri, contribuendo ad arricchire più possibile i commenti e dare sempre più spunti di confronto al pubblico online.